Genome.One’s Clinical Service recently opened the doors of Australia’s first private clinical genomics service, providing genetic counselling and genomic testing to patients Australia-wide. The clinic, based in Sydney, is now accepting doctor referrals for patients from across the country, with consults provided in person, by telephone and via telehealth. Genome.One Head of Clinical Services Mary-Anne Young, also a genetic counsellor at the clinic, said the telehealth and phone consults enabled patients living outside the city to access to genetic health professionals without travelling long distances. 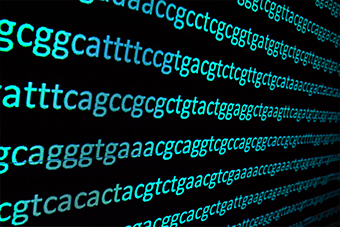 Healthy individuals interested in genomic testing to inform future health decisions. The clinic charges patient fees in accordance with the Australian Medical Association schedule. Clinicians can download the referral form for our clinical service here. Genome.One, a wholly-owned subsidiary of the Garvan Institute of Medical Research, is a pioneering health information company providing genetic answers to life’s biggest health questions through clinically-accredited genomic analysis. Genome.One aims to enhance the lives of patients, families and communities across the world.